Manila, Philippines. 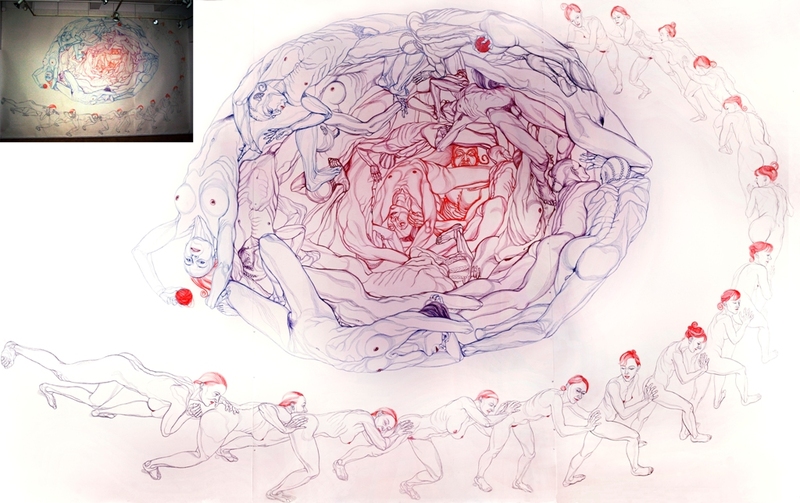 NOTHING TO DECLARE (NTD), a multi-venue and multi-pronged international art project aiming to contribute to contemporary discussions on migration, will open with an exhibition at BLANC Compound on 18 October-November 12, 2011. Participating artists at Blanc are Sonia Barrett (Germany), Estan Cabigas (Philippines), Jef Carnay (Philippines), Jean Marie Casbarian (USA), Noel Soler Cuizon (Philippines), Lizza May David (Germany), Livia Daza-Paris (Canada + Venezuela), Kawayan de Guia (Philippines), Chad Erpelding (USA), Renee Kildow (USA) Knoll+Cella (USA/Austria), Leeroy New (Philippines), Frances Nicole Manzanero (Philippines), Lizelle Ortigas (Philippines), Eva Petric (Austria), Mark Salvatus (Philippines), Josephine Turalba (Philippines), and Sonja Van Kerkhoff + Sen McGlinn (The Netherlands/New Zealand). Nothing To Declare at Blanc traces with each translocation and transformation the idea of a fountainhead– a remembered, imagined or mythical source from which flows the flux and unrest of identities denied or assumed, re-invented, struggled with, and ultimately discarded. What would be the impetus for these movements, and are there ends in sight? The quest for rest, closure or home, is also largely undeclared. Stationed at a private gallery, NTD thrives in a blanc space, a white cube which could also be white space – an absence of color that connotes not just a seeming neutrality, but an open-endedness that could effectively ground a query into destinies and destinations. Migrations can be cyclical and serial; thus, individual lives become similarly marked by centers and stations. And as the NTD curatorial brief states, migration can also refer not only to movement of people across borders but to migrations of form, realities and spaces. From more than 100 submissions that responded to the Call for Proposals in 2010, the NTD Board of organizers and curators headed by Flaudette May Datuin (Department of Art Studies, College of Arts and Letters, University of the Philippines) selected around 50 artists, whose works will be shown at Blanc, UP Jorge Vargas Museum and Yuchengco Museum. NTD was initiated by Datuin, Josephine Turalba (Dean, School of Fine Arts and Design, Philippine Women’s University) and Precious Leano (Executive Director, Filipino Visual Arts and Design Rights Organization or FILVADRO) in 2010, with Manila as the pilot venue for a cross-cultural exchange on the various aspects of migration involving artists, curators, art educators, students and three exhibition venues. 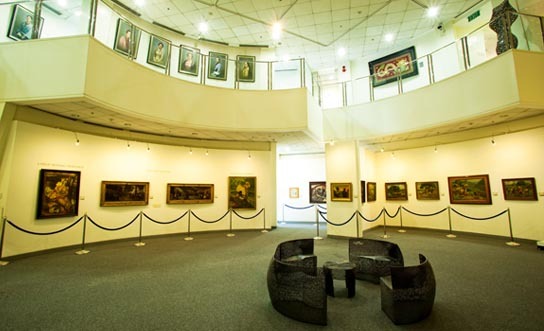 The exhibits will all take place in 2011, with UP College of Fine Arts Prof. Leo Abaya as associate curator for UP Jorge Vargas Museum and Archives in Quezon City; Claro Ramirez, Jr. as associate curator for Yuchengco Museum in Makati City, and Karen Ocampo Flores as associate curator for Blanc Compound in Mandaluyong City. The NTD Exhibit Team at Blanc Compound is headed by Karen Ocampo Flores as associate curator and Precious Leano as education program coordinator, in cooperation with slash/art artists’ initiative and the internship programs of the School of Multimedia Arts, Asia-Pacific College, and the School of Fine Arts and Design, Philippine Women’s University. 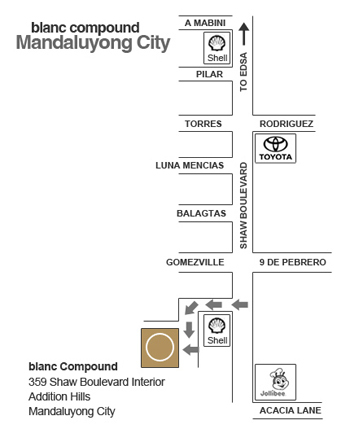 The exhibit at BLANC opens at 6:00pm on Tuesday, October 18 and ends on November 12, 2011. 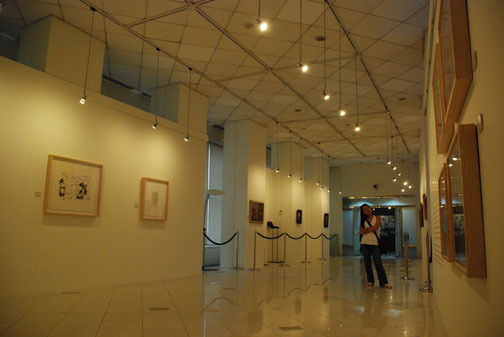 The exhibit at Yuchengco Museum is November 16 to January 29, 2012 and Vargas Museum, November 18, 2011 till January 7, 2012. For inquiries, please call +63920-9276436. For details: nothing2declare2011.wordpress.com. 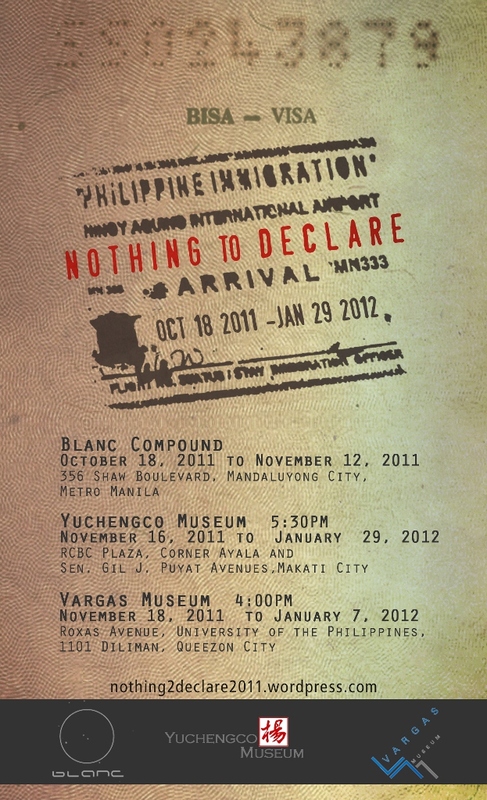 The curatorial board of Nothing to Declare (NTD) an international art project scheduled to exhibit at the University of the Philippines Vargas Museum, Yuchengco Museum and Cultural Center of the Philippines from November 16, 2011 to January 2012, has decided to withdraw from exhibiting at the Cultural Center of the Philippines Main Gallery. Nothing to Declare is a contribution to contemporary discussions on migration, not only of people across borders, but of forms and realities across time and space. The NTD exhibits were supposed to function as platforms for art education, art criticism, workshops, artist talks and other activities aiming to make contemporary art accessible to a wider public, and to create a space for a lively exchange of ideas, even and especially if those ideas are unpopular. NTD focuses on those who have nothing to declare, those whose marginality is source of intervention and strength, of subterfuge and resistance, of constraint as well as change. Recent events tell us that CCP, under the present administrative set-up is no longer the appropriate venue for such curatorial vision to thrive. 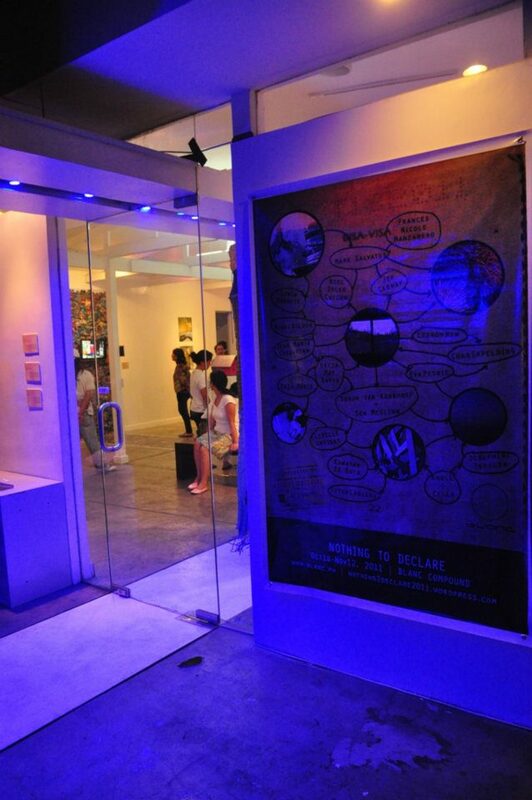 In August 5, 2011, CCP has set a dangerous precedent against freedom of expression when it prematurely closed the “Kulo” exhibition featuring 32 works from artists who contributed to the curatorial concept of revolutionary ferment in contemporary Philippine society as inspired by Dr. Jose Rizal’s life. Key people of NTD –as individuals and as part of collectives and institutions – persistently urged the management to reopen the exhibit so that intelligent discussions can take place in a safe haven where artists as public intellectuals have the freedom to exhibit. The exhibit remained closed – clearly at odds not only with the position taken by the NTD organizers, but with the project’s curatorial predisposition towards subterfuge and resistance. Such a vision and predisposition must find a home outside CCP, an institution unable to protect its autonomy and fulfil its mandate. Therefore we, NTD organizers urge fellow educators, cultural workers, curators and artists to come together and form alternative venues and spaces conducive to forming a community of critical audiences of art. Manila, Philippines, December 2010. Nothing to Declare is a multi-pronged and multi-media international art project conceptualized by a University of the Philippines art studies professor (Flaudette May Datuin, head curator and project director), a visual artist (Josephine Turalba) and an art manager (Precious Leano). 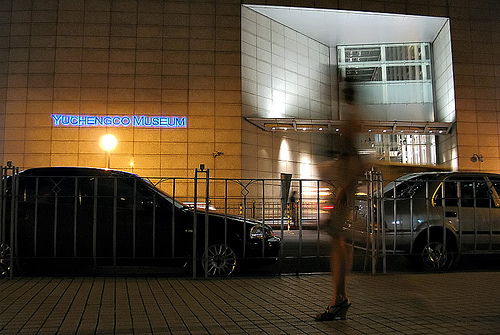 Yuchengco Museum: with visual artist Claro Ramirez, as venue curator. 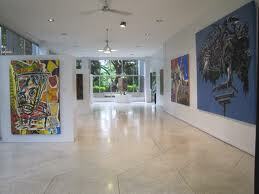 Contemporary art spaces all over Metro Manila, Karen Flores, curator. The exhibition is a starting point for pedagogical, art-critical and art-education activities, including visits with host communities, art educators’ training workshops, essay writing contests and artist talks and forums for students, artists, cultural workers, academics and the general public. Participating Artists are working on a range of media, from painting, drawing, photography, video, documentary film, sound-based works and installation. Some of the works require collaborations with local artists and workshops with communities. These artists will come to Manila to participate in a project with a participatory, collaborative and makeshift framework, whose primary aim is to contribute to contemporary discourses on migration, broadly referring to movement not just across waters, land, and air, but also across immediate, virtual and hyper realities—and shifting societies. The title pays particular attention to the role of migration in shaping those social changes by continuous movement, a movement characterized by breaks, dislocations, absences, and silences of those who have nothing to declare. 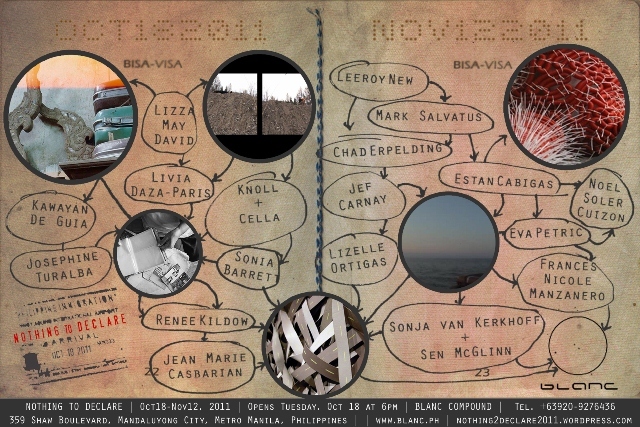 The primary criteria for selecting works hinged, not on what the works are about – migration and identity politics, for instance – but on aesthetic perception, emerging from migration, taking the cue from the discourse on migratory aesthetics (2Move: Double Movement /Migratory Aesthetics ) by Bennett, Bal and Hernandez , among others. [vi] Art is not just about content, meaning and event, but all about felt experience, affect, and formal and aesthetic resonance. In most of the works selected, particular attention was given to projects that evoke ways of sensing and feeling that are de-synchronized and fractured, irreducibly plural, discontinuous and non-homogenous. Such disjointed perceptions —which become concretely apparent in states of trance, possession, daydreams, jokes, manic and epileptic seizures— can be understood under the thematic of “picnolepsy”, a category we borrow from Paul Virilio to explain experiences that exist as a series of vacancies and absences, configured in shifting and provisional arrangements, rather than coherent unities, ordered and logical thought. [i] This project is thus interested in those picnoleptic vacancies and absences, the un-saids in human perception and the gaps in human experience, particularly of those at the fringes who fall between the cracks of the “real,” the rational and the visible in a global culture of unequal access amidst material excess, of want and poverty amidst waste and plenty. As pilot site for Nothing to Declare, Manila is place as well as metaphor for understanding a particularly nomadic, migratory sensibility characterized by displacements, of absences, and of slippages, that are lived in very real, concrete, at times painful terms in the everyday. “Livedness” and “lived realities” for these families do not only refer to the immediate, the concrete. In life until death, the bodies of these so-called citizens of the world present concrete examples of contradictions, of absent people who are made present through money coming through the wires, a lifeblood circulating —from birth to death— through impersonal, electronic banking and financial circuits of exchange. For example, there is now a funerary service advertised as “Cyber-Burol” (cyber-wake), where the webcam and the computer can relay images of the bereaved and the dead, a situation where grief and feelings of loss, and pain are played out virtually. Such virtual realities become very real and pervasive, especially in political circuses, such as elections, which for the first time have become “automated” in 2010 —a development that gives rise to the possibility of failures in elections, a danger that WJT Mitchell[iv] characterized no longer of “things falling apart” —of wars and mass destruction or mass malfunctioning of machines— but of things coming alive: the creation of new, ever-vital, virulent images and life forms: of computer viruses, terrorist sleeper cells, of warlord cells, of smart bombs, and in the case of Philippine elections, of automated Garcis (short for Garcillano, the election commissioner linked to the vote rigging in the presidential elections of 2004). Similar circus elections and migration of labor phenomena are found in the homeland of some of the invited artists, from Egypt as a sample of Middle East countries to several Latin American and African nations. Nothing to Declare takes careful note of these movements across realities: movements where copies and objects that, despite or maybe because of having nothing to declare, nonetheless have realities and lives of their own. As site of political and cultural power, Manila is the seat of the nation-state, one that is constantly challenged by political, cultural and social forces within and without. As source of exported labor and goods, Manila exists in the margins of global politics and economy as well as in relative geographic isolation from the rest of mainland Southeast Asia’s capital cities. However, as port of entry to the rest of the Philippine Islands, Manila is also the junction towards the rest of Asia. As the first destination for Nothing to Declare, Manila becomes a meeting place where people from various points of origin can work together, listen and tell stories of loss and leavings, as well as gains and triumphs. Nothing to Declare is thus a contribution to contemporary discussion on migration, not only of people across borders, but of forms and realities across time and space, with the dysfunctional city of Manila as initial site. But instead of the subaltern who cannot speak[v], the project focuses on those who have nothing to declare –those whose marginality is source of intervention and strength, of subterfuge and resistance, of constraint as well as change. 4. shifting positions, implying an appreciation of difference and a willingness to dialogue, work together, listen and engage. [i] Paul Virilio. The Aesthetics of Disappearance. USA: MIT Press, Cambridge, Mass. And London, 2009. [iv] WJT Mitchell. “the Work of Art in the Age of Biocybernetic Revolution,” What Do Pictures Want? Chicago and London: The University of Chicago Press, 2005. [v] Gayatri Spivak, “Can the Subaltern Speak?” Marxism and the Interpretation of Culture. C. Nelson and L. Grossberg, eds. Basingstoke: Macmillan Education, 1988. Nothing to Declare is an independent initiative by an artist, an art administrator and a University of the Philippines art studies professor. 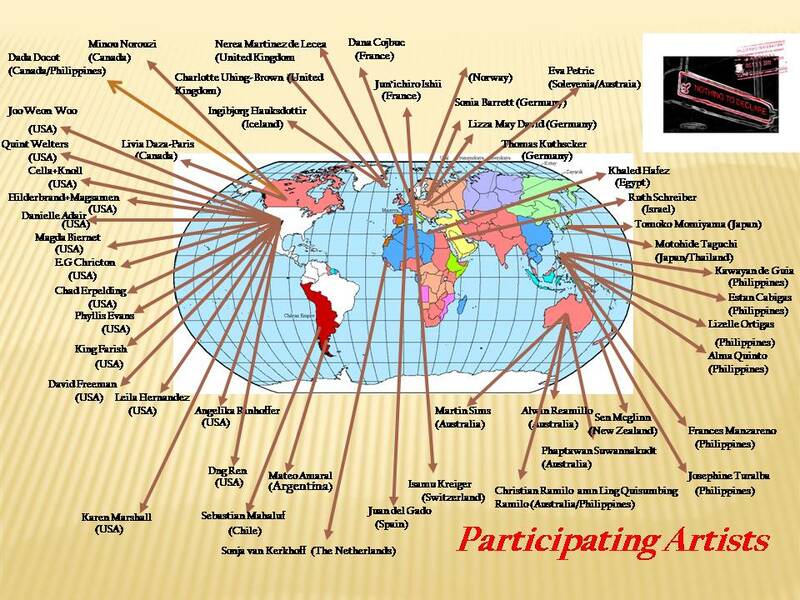 The project is multi-pronged, involving an International Contemporary Art Exhibition in Manila, Philippines from 25 October to 25 November 2011 with the possibility of traveling the exhibition to select countries in 2012 and 2013. Nothing to Declare will host a roster of international and local artists. We will also organize teachers’ training workshops, essay writing contests, artist talks and group discussions as satellite activities to the program. To participate in Nothing to Declare, please send us a proposal of, (preferably recent) artwork you would like to show OR a proposal for new work you will make and would like to exhibit. Include medium resolution (75-100 dpi) photographs or drawings to illustrate your proposal including installation requirements, size of the artwork, medium, etc. 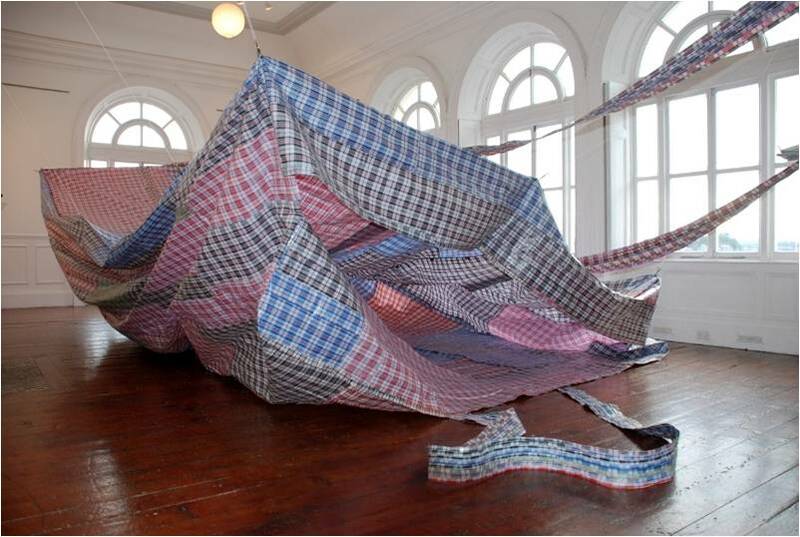 Email proposals and inquiries to nothing2declare2011@gmail.com by the deadline on 30 September 2010 (extended from 30 August). For video works, please limit works to only single channel, and since video projection on screens are limited to availability, please allow works that can be displayed on LCD and/or on screen. For photography, works should be printed on paper or aluminum without frames or mounted on foam board. Aside from visual artists working solo, we also encourage collaborative, interactive and multi-disciplinary works involving various art disciplines (music, dance, architecture, advertising, cinema, weaving, pottery, digital imaging, literary arts, etc) and the social and natural sciences. A sound artist could for instance, work with engineers and physicists, among other exciting possibilities. We also welcome proposals from all age groups, gender, race, class, including students, self-taught artists, etcetera. 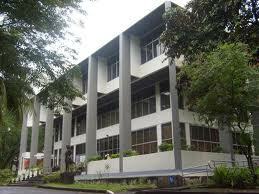 Selected proponents will be invited to come to Manila. Traveling expenses costs for shipping and insurance of the artworks and minor living expenses will be borne by the artists. We will host some accommodations and meals from 22 October to 7 November 2011.